VARIO2 IP PoE - low voltage illuminators illuminate longer distances using less power. 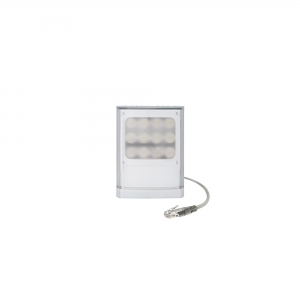 VARIO2 IP PoE - is available in Infra-Red and White-Light with interchangeable lens system. Above distances given for standard 850 nm version, expect 40% less distance in 940 nm version. Options: DST and PSUs FOR 100-230V AC. LENSES USABLE ON ALL VARIO SERIES EXCEPT THE "D-ZOOM" VARIOs. 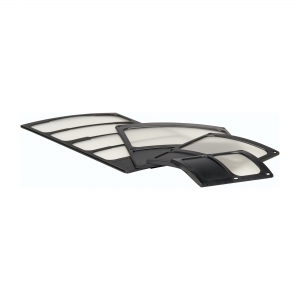 ONE LENS IS NEEDED FOR EACH PANEL OF THE PRODUCT. 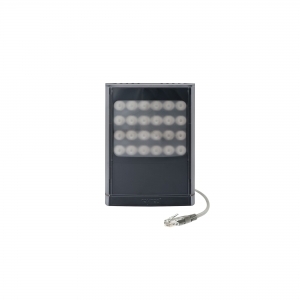 The VARIO DST (Daytime Set-up Tool) is a simple and convenient targeting device designed to help installers set up their lighting for surveillance cameras during the day. Universal Brackets for custom mounting and configuration of all VARIO illuminators. 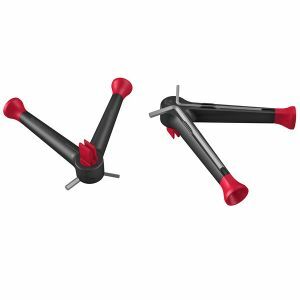 All VARIO series i/w2, i/w4, i/w8, i/w16 can be mounted on WALLS and POLES using these official VARIO brackets. Ideal if you do not have any low voltage 12-24V source and want to convert mains 100-230V AC input into low voltage 24V DC output to power one or several illuminators in the VARIO product ranges. External power supply unit to convert mains 100-230V AC into low voltage 24V DC, 20W, 1xO/P. 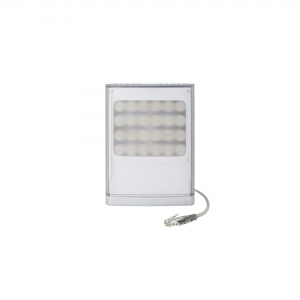 For 1 x illuminator VARIO i2-1 / w2-1 or its maximum equivalent in Watts. External power supply unit to convert mains 100-230V AC into low voltage 24V DC, 50W, 2xO/P. 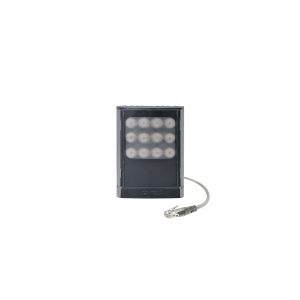 For 2 x illuminators VARIO i4-1 / w4-1 or its maximum equivalent in Watts. External power supply unit to convert mains 100-230V AC into low voltage 24V DC, 100W, 2xO/P. 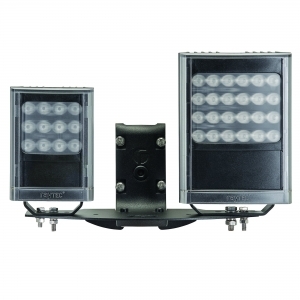 For 2 x illuminators VARIO i8-1 / w8-1 or its maximum equivalent in Watts. External power supply unit to convert mains 100-230V AC into low voltage 24V DC, 150W, 3xO/P. 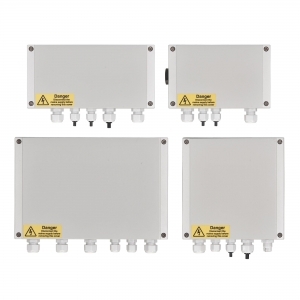 For 3 x illuminators VARIO i8-1 / w8-1 or its maximum equivalent in Watts.